Virgo is a loyal partner and will give of themselves tirelessly if they feel as though their partner is living up to his or her expectations. During this transit, you could meet a potential love through your job or on the job, no matter what your sign is. Where Venus travels (in what sign and house) speaks to how our romantic lives play out during this time - according to Astrology, so take a cue from Virgo and the 6th House of repair and maintenance. This is a great time focus on your health, pay strict/precise attention to all personal details where your appearance and lifestyle are involved, when going about your daily routines and try to ditch a bad habit for best results. Venus in Virgo Love Scope for Aries: A new/ongoing relationship at work could become serious, faster than you suspected, Aries! Single Aries could be putting in overtime at the office but loving the rewards and appreciation that come their way via bosses, co-workers and associates. Make overdue appointments to see doctors and take the best care of your body possible. The more energy you put into your health and career, the greater the rewards will be. Don't let something little (like an ache or pain) escalate into something dramatic. Venus in Virgo Love Scope for Taurus: Single or coupled, Venus in Virgo brings about romance, more/greater interaction with children and creates an atmosphere where you take risks willingly, get seriously involved in a hobby and notice you receive serious praise from a love interest. Singles are in a great cycle for attracting a new love. Couples begin to think about taking their romance to a new and improved level. Moving in together, having a baby and making a greater commitment to one another are serious possibilities. Venus in Virgo Love Scope for Gemini: You could meet the love of your life through a family member, in your community or while traveling a short distance from where you live. Home is where your heart remains during the transit of Venus in Virgo. Make your home your personal sanctuary by buying something little that can make a major difference in your surroundings. Turn on/up the music, throw a house party and add some bold colors to your bedroom for ideal results. Venus in Virgo Love Scope for Cancer: Virgo is your 3rd House of communications, personal, social and professional. You have a strong need to keep the peace when dealing with groups, relatives and friends, near and far - old and new. Your diplomatic side emerges and you receive praise and accolades via speaking, writing and or blogging. You might also find love as close as your own community. It is imperative that you remain calm and drama free during this cycle. Patience goes a long way and brings about greater love and improved closeness between you and a partner. Venus in Virgo Love Scope for Leo: Work on appealing to a larger audience in order to attract the love, recognition and security you seek. Not everyone will agree with your views, especially where finances are involved. The more open minded you remain to others, the better your chances of success will be, especially if they deal with the arts. More money will be made available to you and your home life will continue to be where you feel most comfortable during this time, especially surrounded by creative comforts. Venus in Virgo Love Scope for Virgo: You rebound from a loss, either emotional or financial. During this transit, you feel right at home, personally and professionally. Remain receptive and open to love. Express your vulnerable side and realize it's a big world and you will travel it, Virgo. Your popularity escalates and singles attract a new love partner, maybe even two. Couples decide to embark on a new and improved chapter. Expect to be the recipient of more love, more money and personal offers from appealing prospects, single or coupled. Venus in Virgo Love Scope for Libra: Release past resentments, deal with nagging issues from your past and focus on self improvement, where needed. A secret romance could heat up during this time. Forgive those who have mistreated you and focus on a beginning a creative project, new romance or finishing up an ongoing one. The mystery you project during this time will stand out to others as well as the one you really love, Libra. Romance occurs in secret, behind the scenes or takes place in a secluded area. Venus in Virgo Love Scope for Scorpio: The more you assist others close to you and those not so close, the more admiration and love come your way. Friendships, your hopes and wishes are in the spotlight. Efforts you made in the past return to benefit you. Expect to gain rewards for loyalty, kindness and discretion. Under Venus in Virgo, Scorpios can turn their hopes and dreams into serious realities. Venus in Virgo asks that you make more time for friends and your social life. Write down your hopes and wishes and get to work on expanding your social circles, like yesterday. You won't be disappointed. Venus in Virgo Love Scope for Sagittarius: You could stumble upon professional information that is not intended for your eyes. Keep things simple and be loyal to those who have stood by your side, no matter what you discover. You can make a fortune with the assistance of bosses, VIPs and authority figures. Expect your public reputation to be enhanced during this time. You could meet the love of your life through your job, via co-workers or while traveling for professional obligations, Sagittarius. You gain an elevation in prestige during this time. Venus in Virgo Love Scope for Capricorn: You could meet someone from a foreign country, overseas or while studying. A chance meeting at a seminar, work shop or lecture could produce better than expected results. While out and about with friends, you could be introduced to someone who changes everything. An interest in philosophy, publishing or travel brings good fortune and someone from a distance could be the one for you and vice verse. Expect to find a friend for life or a love partner while traveling during this time. Romance heats up for Capricorn under Venus in Virgo. Venus in Virgo Love Scope for Aquarius: Virgo is your 8th House of deeply committed relationships. This is your time to take an ongoing love relationship to the next level and beyond. 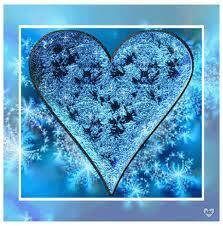 Single or coupled, love is bringing Aquarius a deep sense of fulfillment, confidence and security. Expect to be dealing with an interest in subjects like Astrology, ghosts and life after death. These areas can bond you closer to one who shares your personal views. Single or coupled, Aquarius will enjoy the extreme and intense attention that comes their way. Venus in Virgo Love Scope for Pisces: A romance could get serious enough for a major commitment. Did someone say marriage, kids and a home/life together? Make you sure you're ready, willing and able, Pisces. Someone close could demand a serious commitment. Singles can expect to meet a mysterious person who catches their eye and gains Pisces undivided time, energy and attention. Couples decide to take the next step or at the very least, have a heart to heart discussion that ultimately brings them closer.